It seems timeless, as if it has existed at the beautiful Place des Vosges forever. But that is an illusion. 27 years ago in December 1987, Bernard and Daniele Pacaud moved the then-2* L’Ambroisie to an old silversmith’s shop, at the Place des Vosges. 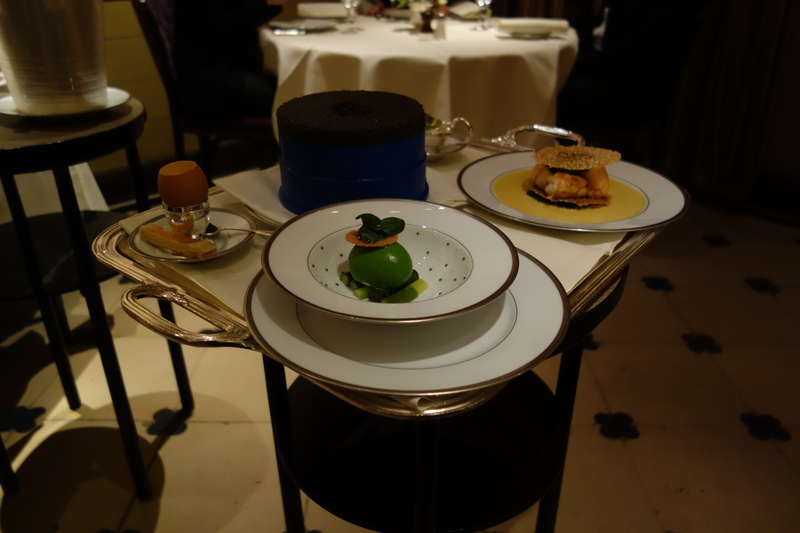 In the 1988 Michelin Guide, 2* L’Ambroisie was elevated to three Michelin stars, a rating it has kept until today. 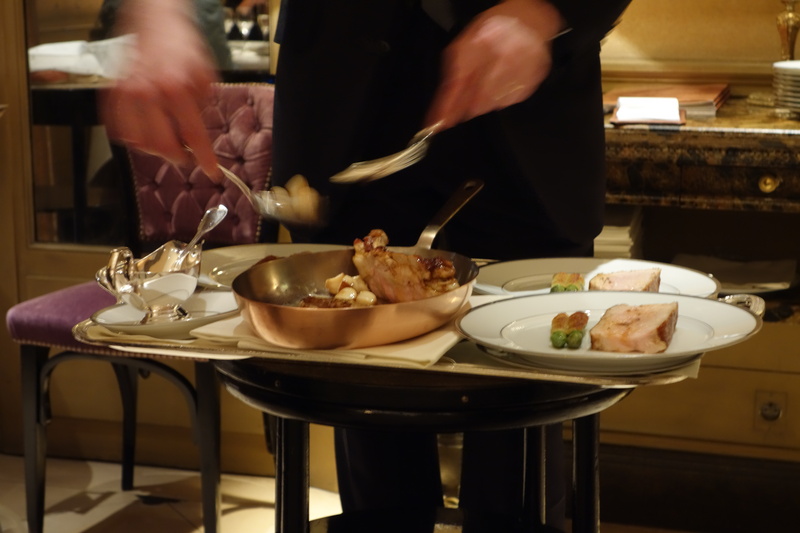 We were greeted and ushered into the first dining room by Madame Pacaud. 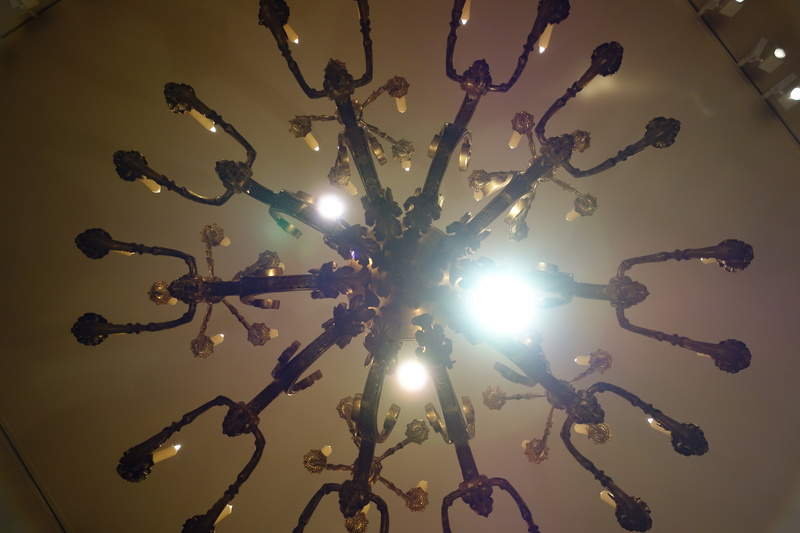 It was cosy, and the lighting came from a Baroque chandelier above our heads. 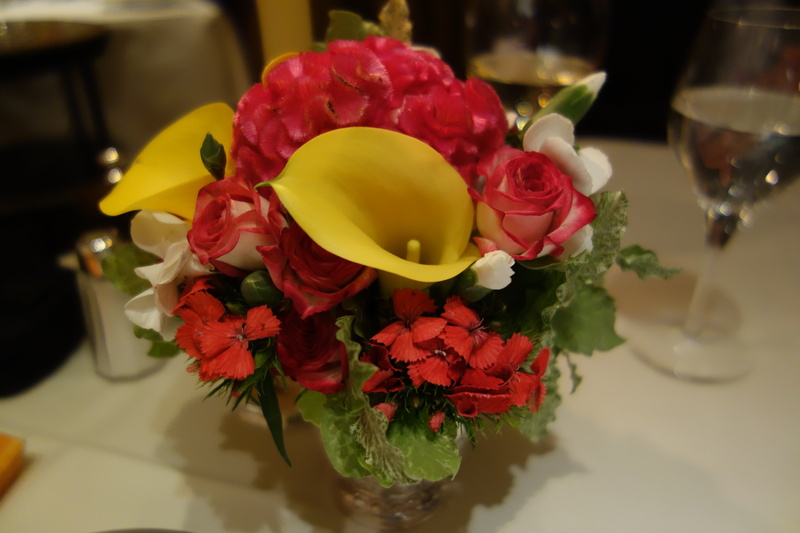 A candle was lighted, an arrangement of fresh flowers. 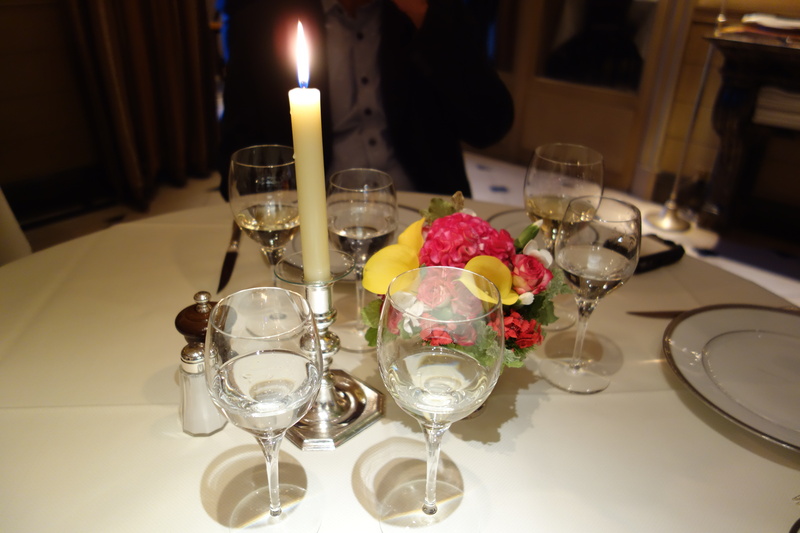 “This might be the most romantic dining room in Paris”. 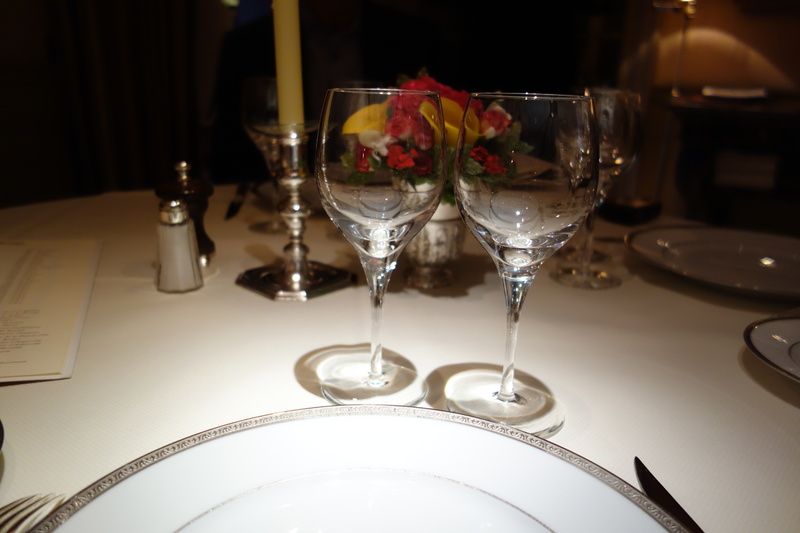 And on the table, salt and pepper shakers (I rarely, if ever, see them at haute-cuisine establishments). That said to me, the diner’s enjoyment is paramount. Just as rare: No tasting menu. Starter, main course, dessert. 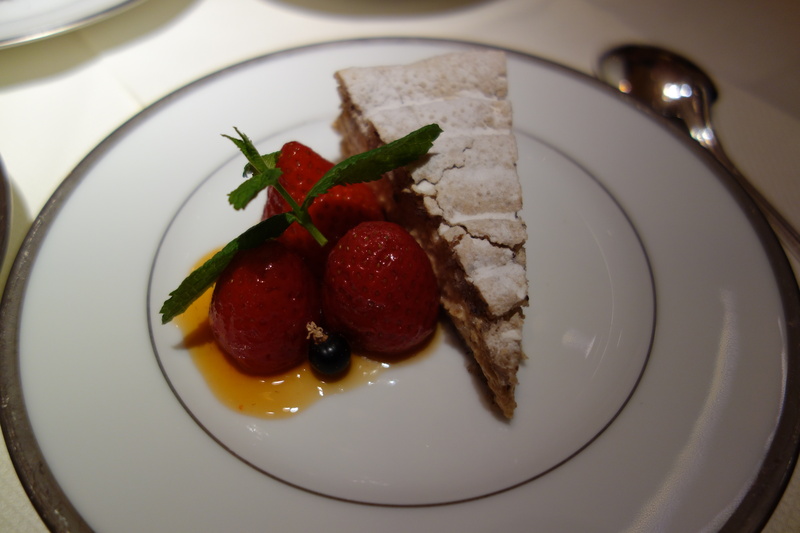 I wanted to dine at L’Ambroisie, precisely because of that gesture; a throwback to an earlier age. Until now, my dining experiences at restaurants considered to be at the top end; restaurants capable of creating transcendental meals, were limited to restaurants with a short history, about 10-20 years at the most. 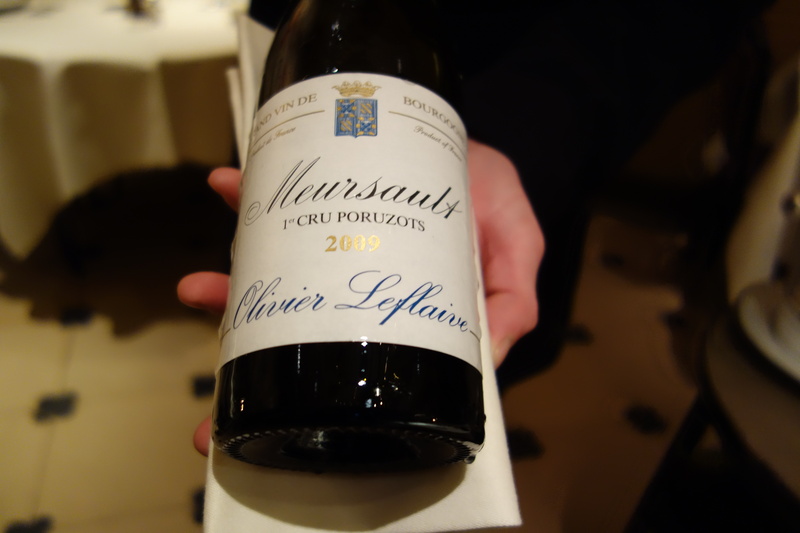 In the United States, the 3* restaurants are unfailingly young (The French Laundry, the Daniel of Daniel Boulud [from Le Cirque], and the Le Bernardin of Gilbert Le Coze, being the three oldest 3*’s in the United States). The other seven (Per Se, Eleven Madison Park, Brooklyn Fare, Jean-Georges, Masa, Alinea, Meadowood) are considerably younger. 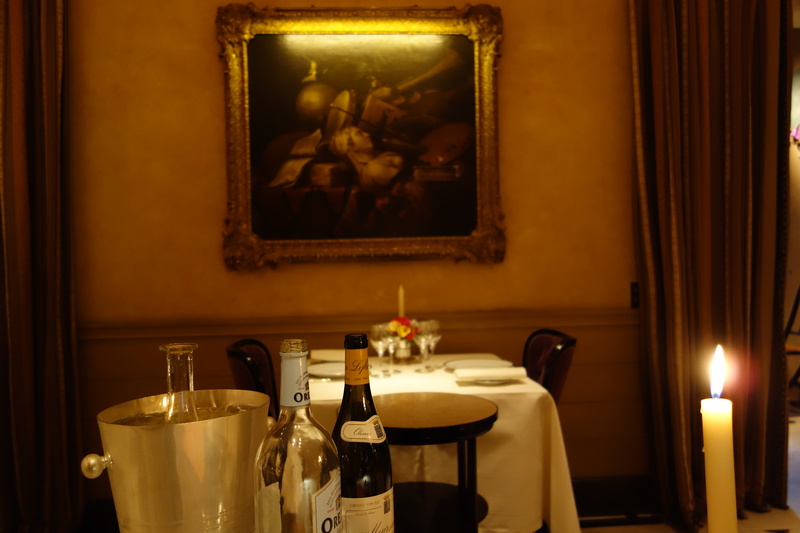 What other restaurants are like L’Ambroisie? 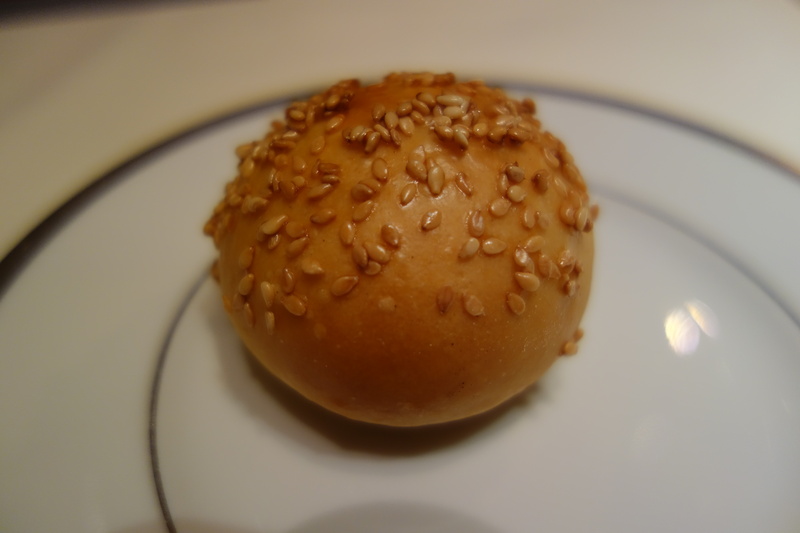 Such a combination of (A) storied history and (B) a preserved cooking style exist only at a handful of restaurants, and (C) at the 3* level is truly, truly rare: Paul Bocuse in Lyon, and Jiro’s sushi outlet in Tokyo are the only other top restaurants that immediately come to my mind. 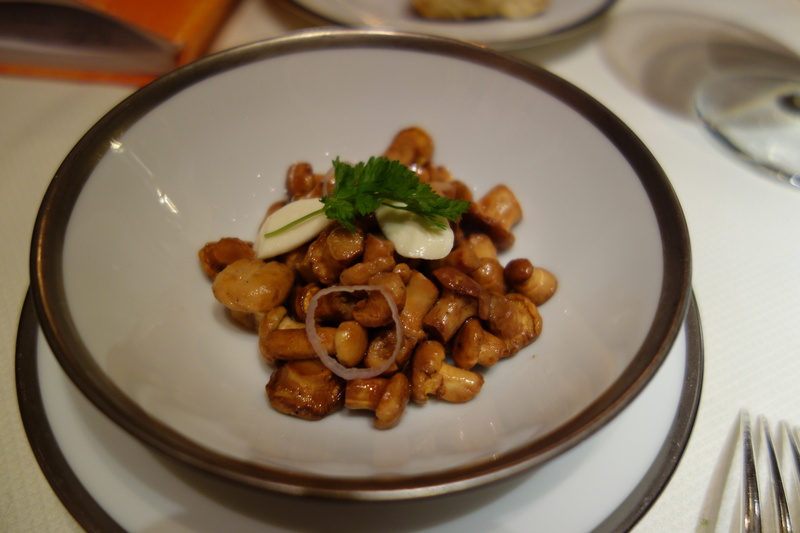 Troisgros, birthplace of nouvelle-cuisine, seems to be experimenting in an Asian fusion style in its third-generation. I wanted to experience nouvelle cuisine: as in its heyday in the 80s and 90s, when it was still considered the state-of-the-art. How was the food? Intense. Perfection, or very close to it, with every dish. 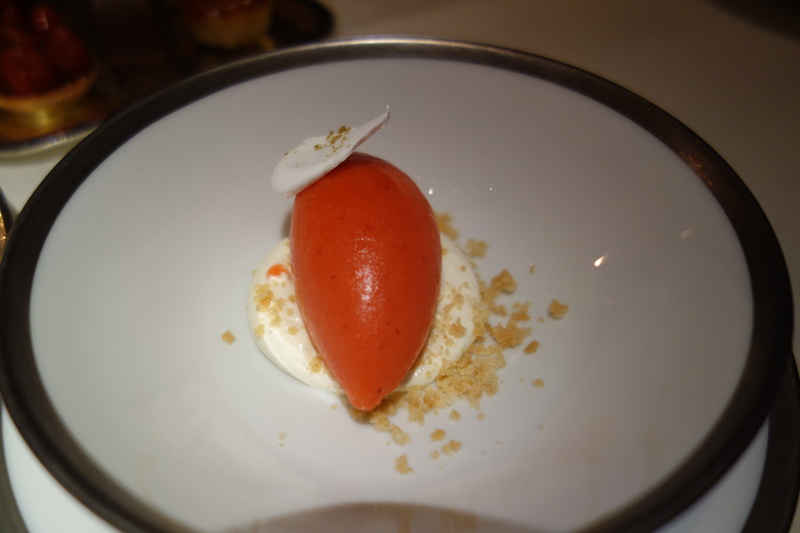 Each dish seemed a minimalist masterpiece to the eye, comprising four or five principal ingredients. 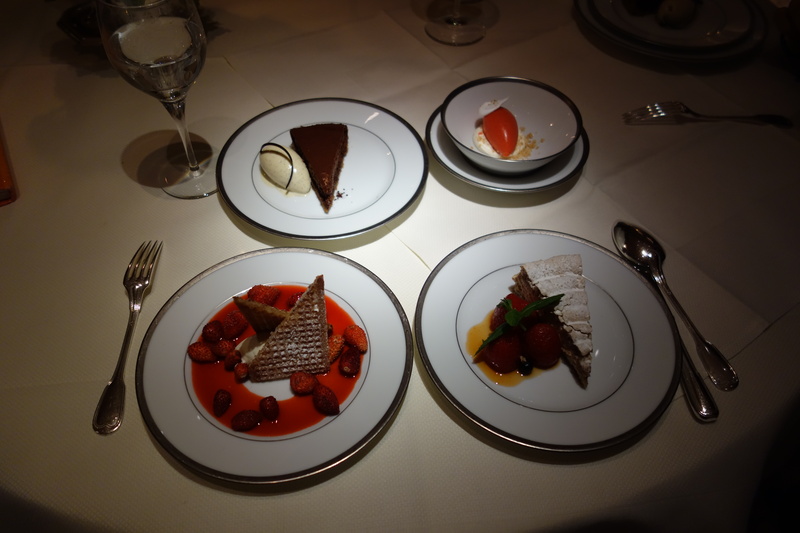 It had all the intensity of the best of classical French haute-cuisine, with none of the heaviness. Many of these dishes deserve to be painted and hung as portraits. And I think it is at L’Ambroisie that I have found the surest hand for caviar. By that I mean, the caviar isn’t fetish-ised and the show-stopper everytime it is served. It is a very sure chef who can relegate the caviar to the supporting role for an asparagus and egg dish, or the supporting role for a line-caught sea-bass with young artichokes. 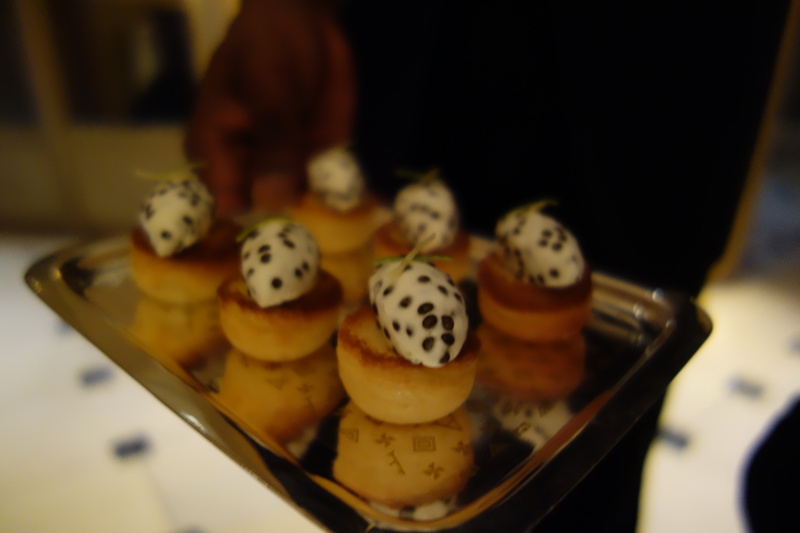 And yet the instinct is precise, and the caviar plays a first-class supporting-role. I am glad to have caught the Pacauds’ cooking (Bernard Pacaud, or his son Mathieu Pacaud who is taking over). 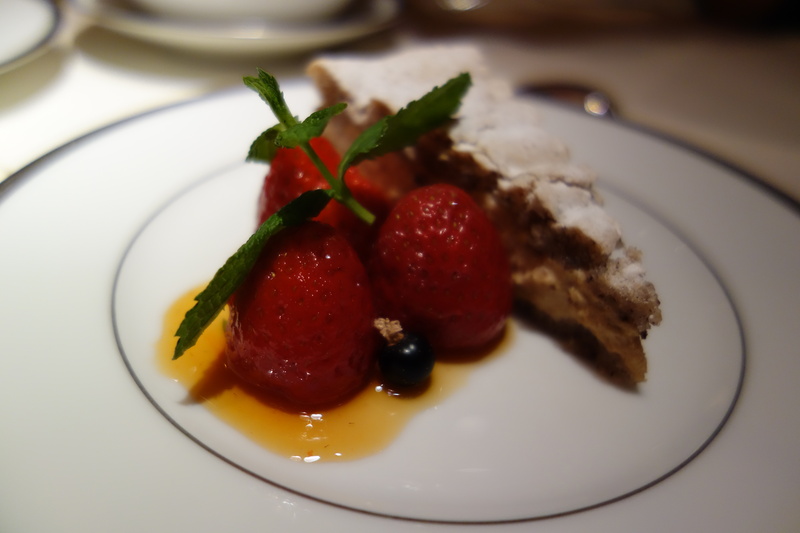 To me, L’Ambroisie is the ultimate French haute-cuisine experience. The food seems timeless. 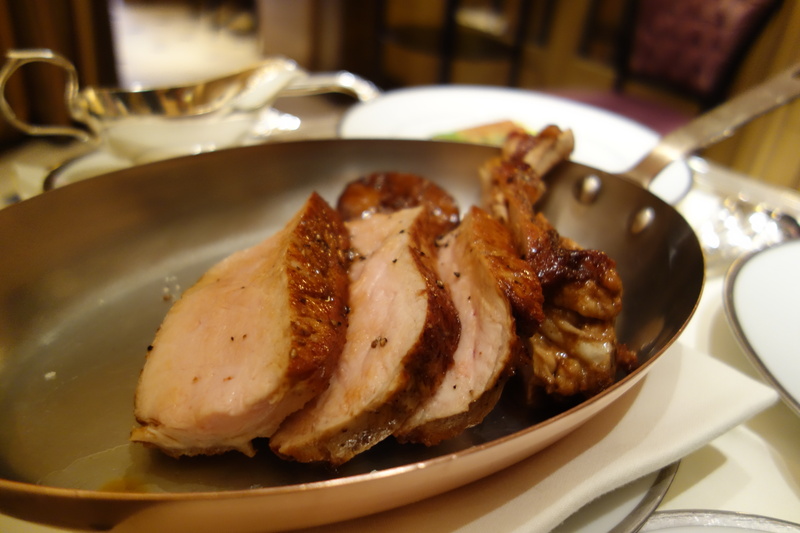 But not events off-table: Surprisingly, L’Ambroisie is going to open a second branch in a Macau casino. It is assured that “the Pacauds will be regularly cooking at the Macau restaurant”. To ensure quality, they need to put a senior chef (perhaps even one of the Pacauds?) in Macau. 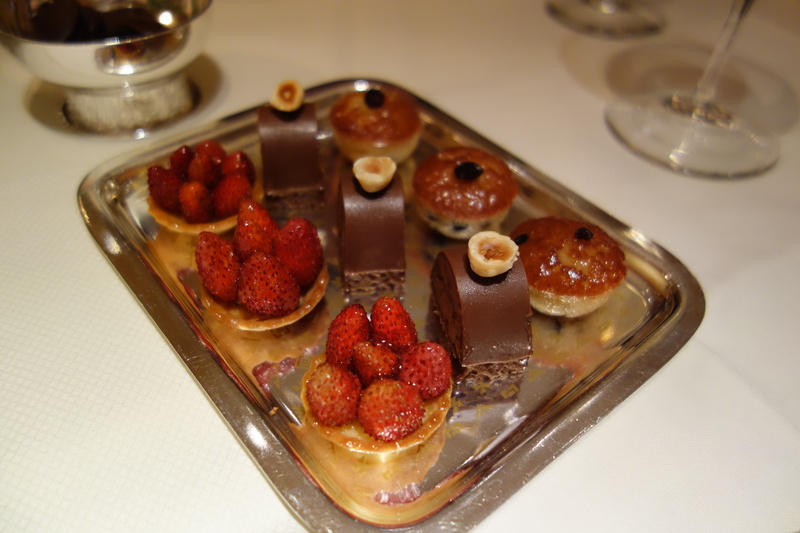 Will this harm the L’Ambroisie flagship in Paris? One hopes not. But in this corner of the Place des Vosges, it seems even the masters of nouvelle cuisine have been touched by the nouveau riche. Crayfish and green peas, with a fava-fennel soup. Anise-like flavors. 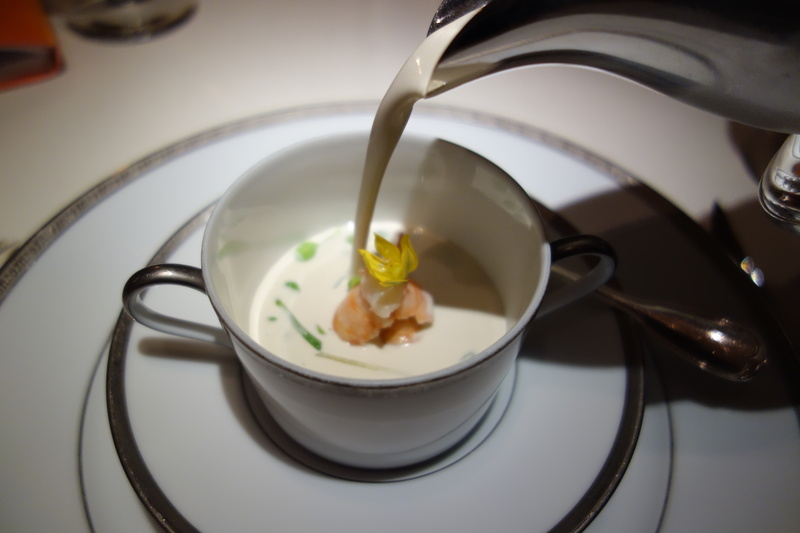 A sweet cream soup (veloute?) from fava and fennel, with aforementioned light anise flavors, made for a refreshing bite. 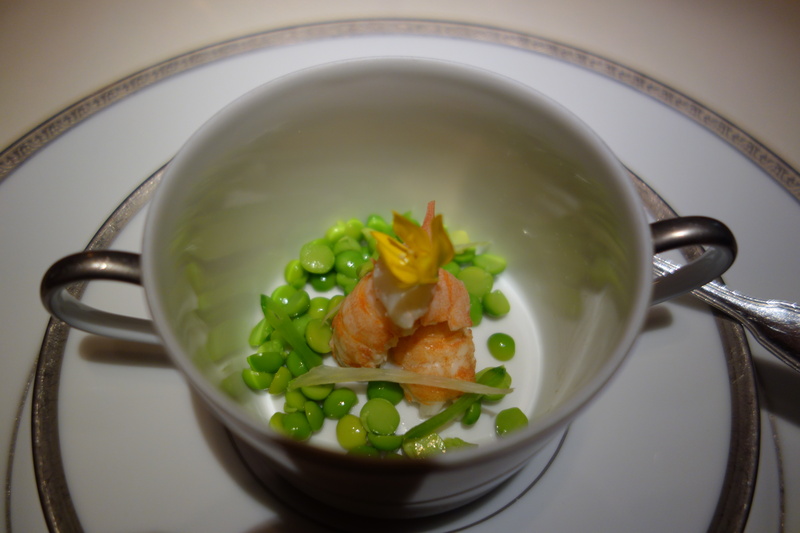 Needless to say the crayfish was of first-class sweetness, texture and colour, the peas juicy. 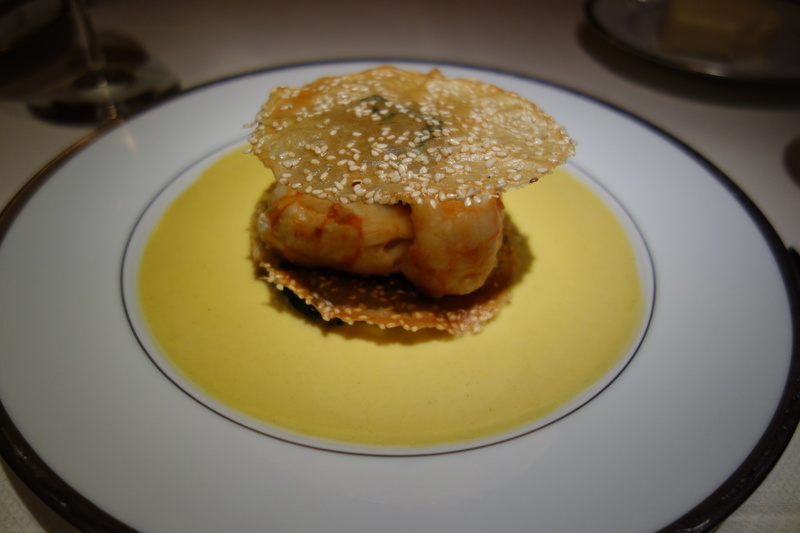 A L’Ambroisie house signature, these sweet langoustines were done to a texture soft to the front bite, and yet maintained some resistance to the back bite. Covered with a sesame crisp, just done vegetables, and a curry sauce. 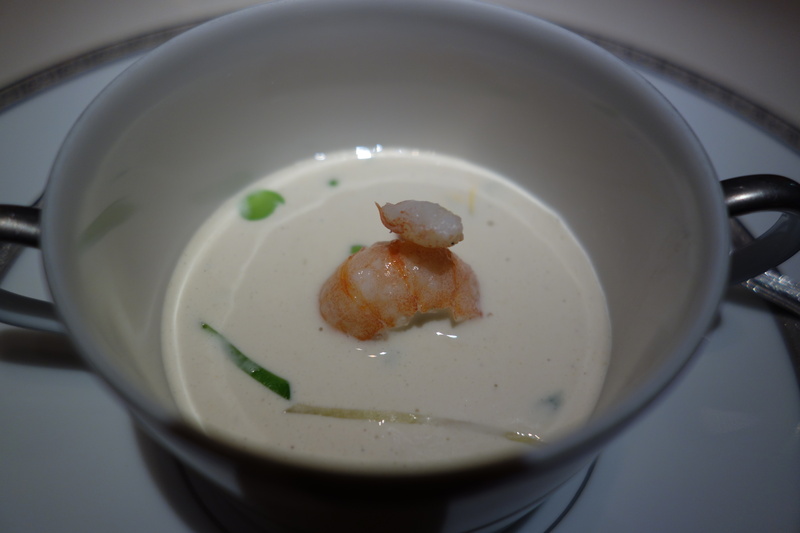 A superb flavor combination, especially the delicate curry sauce which did complemented the langoustines superbly. 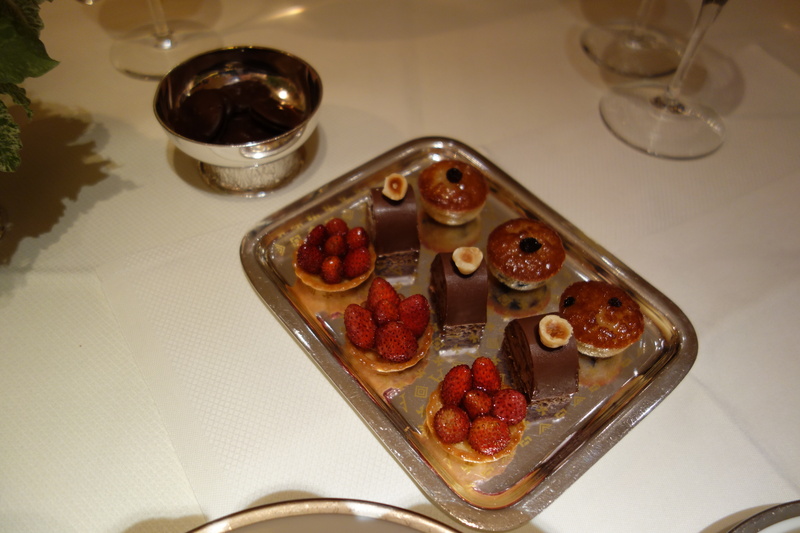 Say what you like about L’Ambroisie and its prices, they are generous with the caviar. When they put a spoonful of caviar, they put a spoon-FULL of caviar. 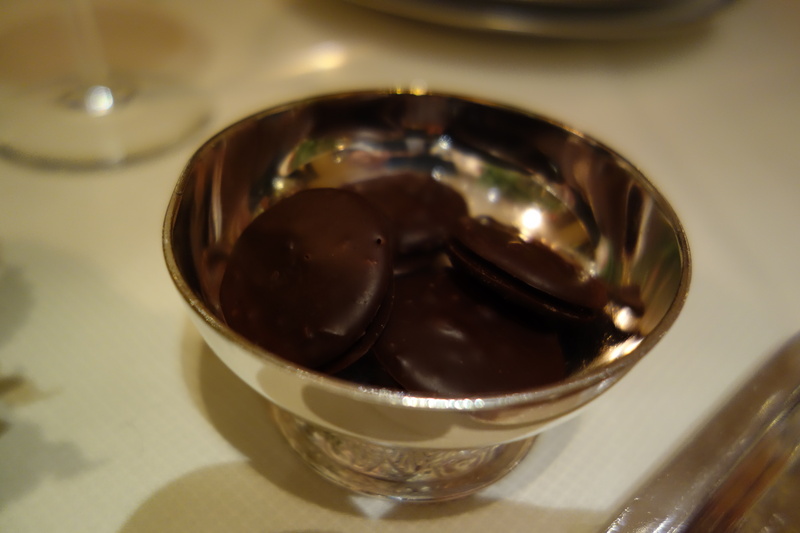 Also I noticed that they don’t use mother-of-pearl unlike most other restaurants. 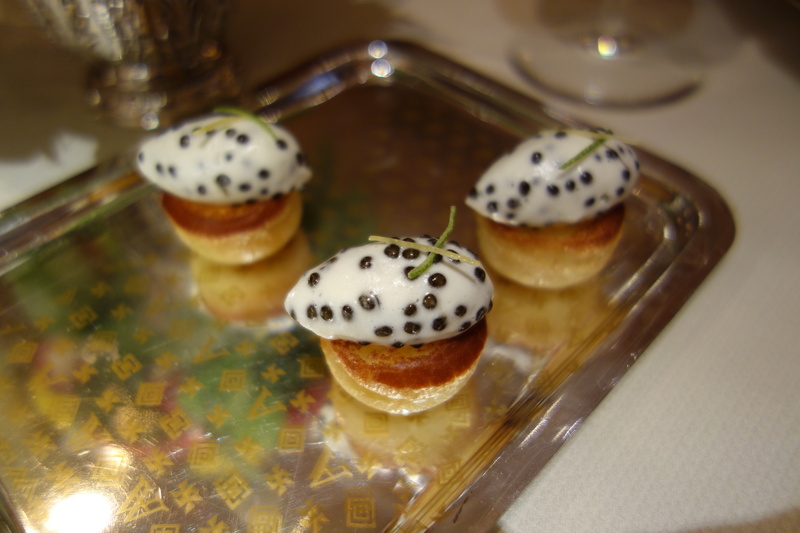 I have heard that L’Ambroisie sources its caviar from both Iran and China. I didn’t inquire, but this was top class stuff. Delicious and decadent, firm globules of rounded salinity. 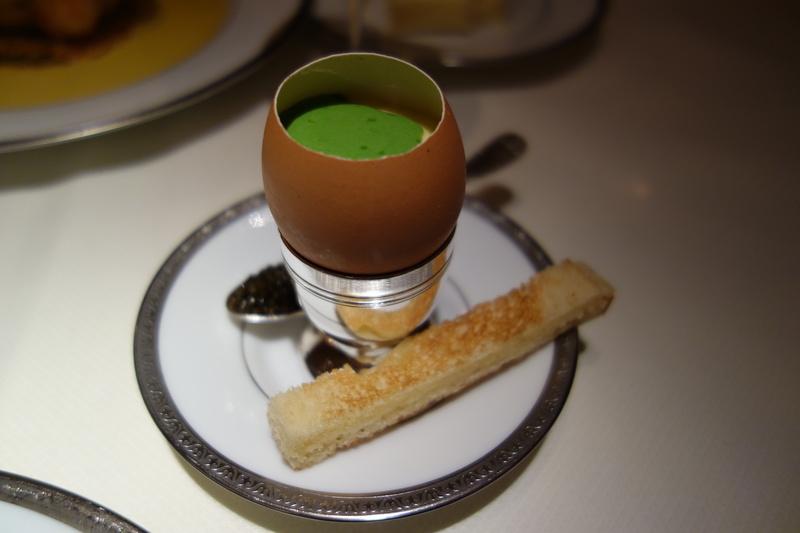 The hot-cold boiled egg, which is boiled to ensure a solid white but runny yolk, and cooled down to ensure the yolk stops cooking, is perched on pieces of asparagus with watercress puree, and a heap of caviar. 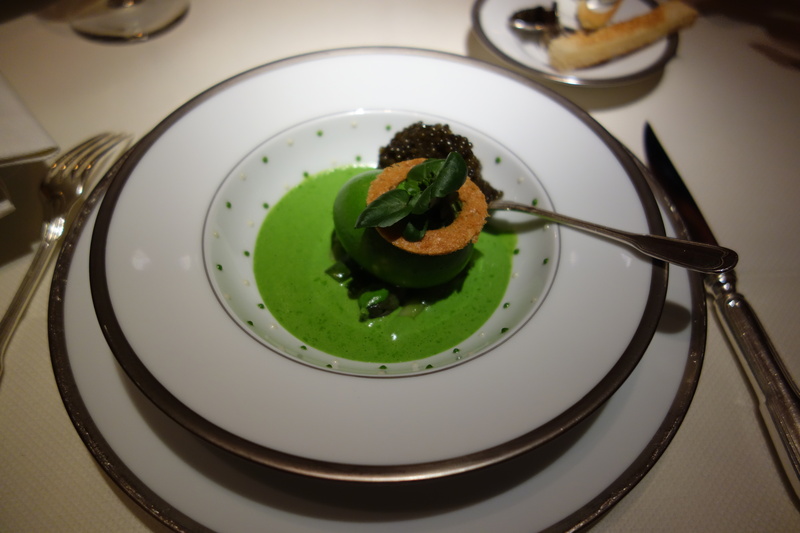 This was possibly the best asparagus dish of the entire trip, acquiring the salt from the caviar. 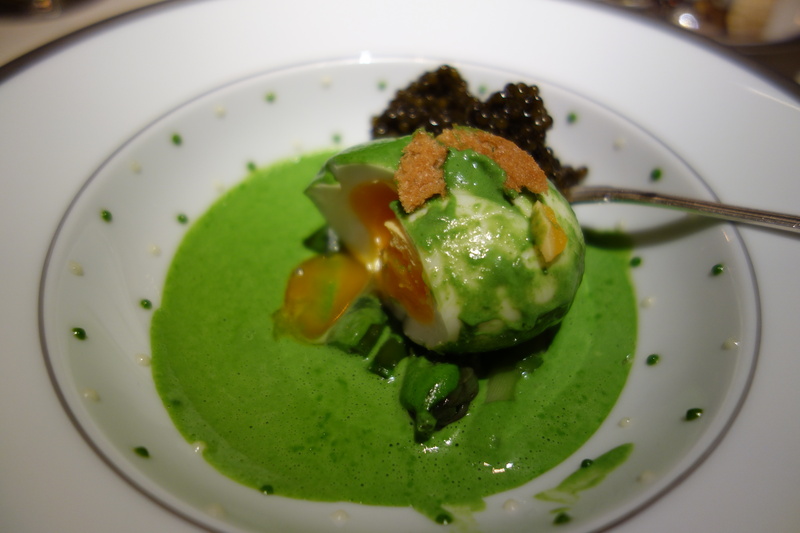 By the side, an egg with (I believe) watercress sauce, with another spoon of caviar. Superb. A foie gras “marjorlaine cake” (multilayered cake) with crystallised rhubarb, and gingerbread as its constituent layers. Lemon confit (preserved lemon) and fresh strawberries. 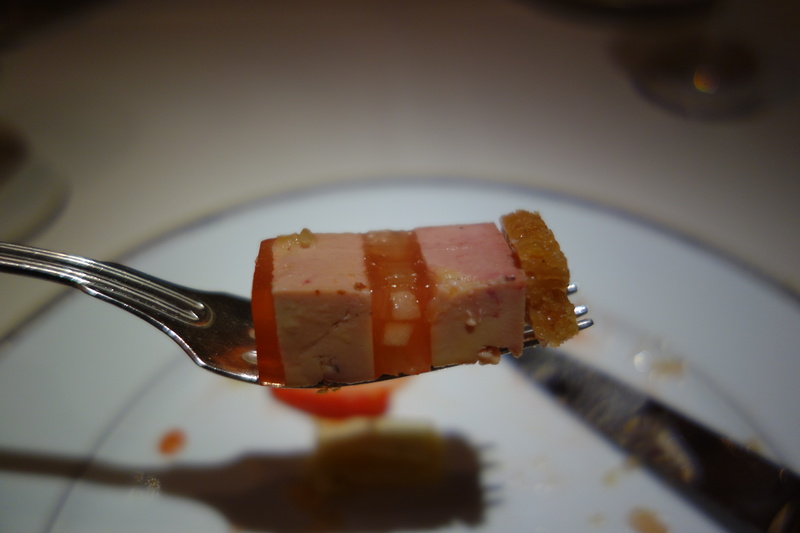 Foie gras terrines can be overwhelming unless intelligently paired with sour fruit, since it is of a uniform buttery texture. 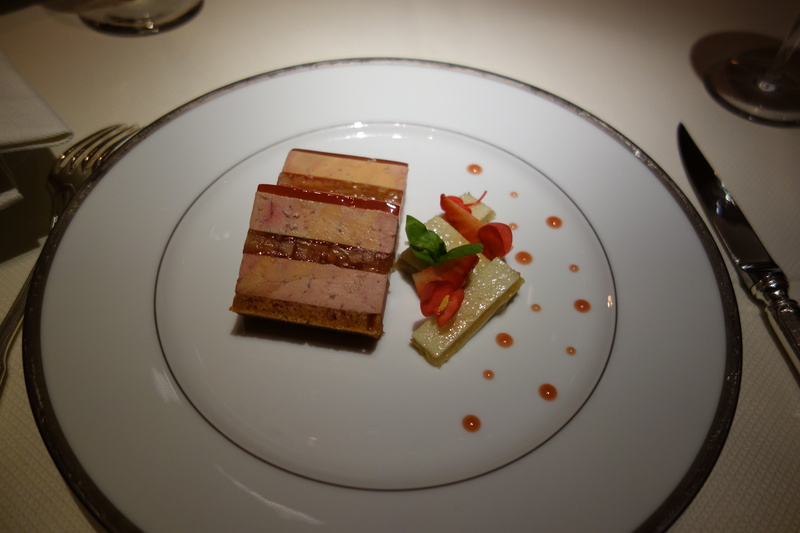 Here, the biscuit from gingerbread and crystallised rhubarb gave variation to the texture of the terrine. 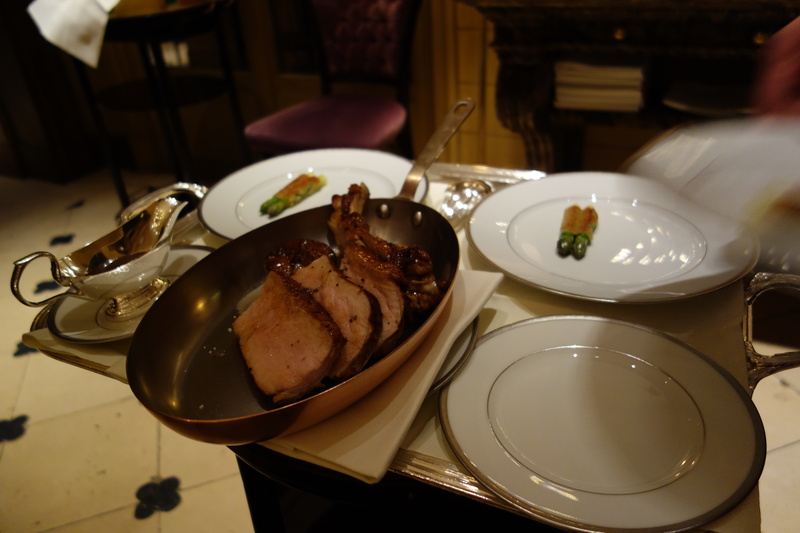 It was a delight to eat, with none of feelings of satiety that can result. 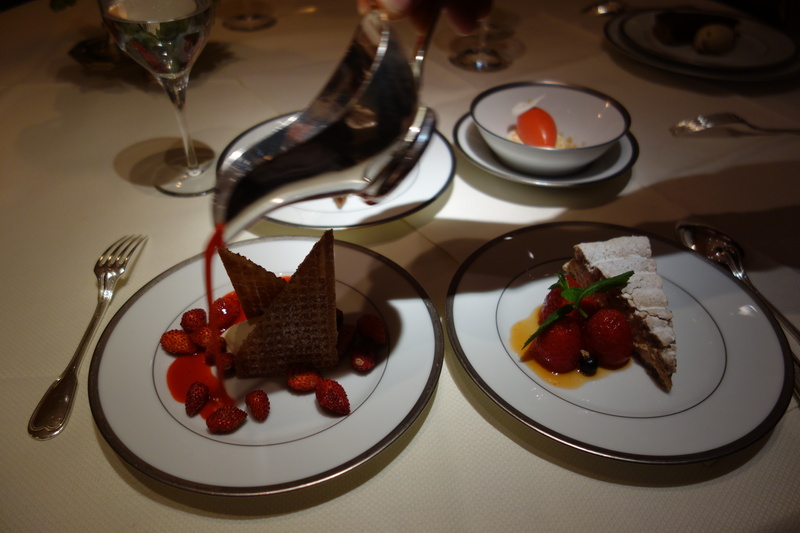 Further, the lemon confit and strawberries had sour tastes that cut away from the unctuousness of foie. 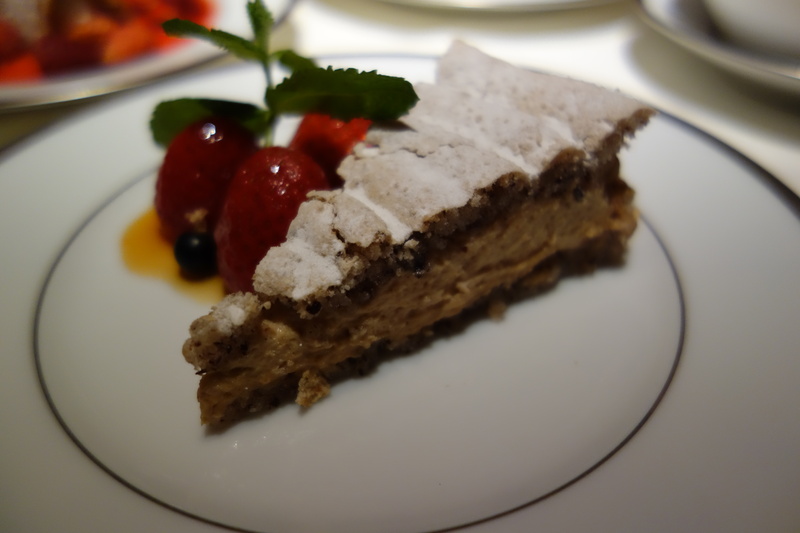 A really good foie cake. This recalled a great foie terrine I had at Eleven Madison Park in New York, the fruity contrast then coming from umeboshi. 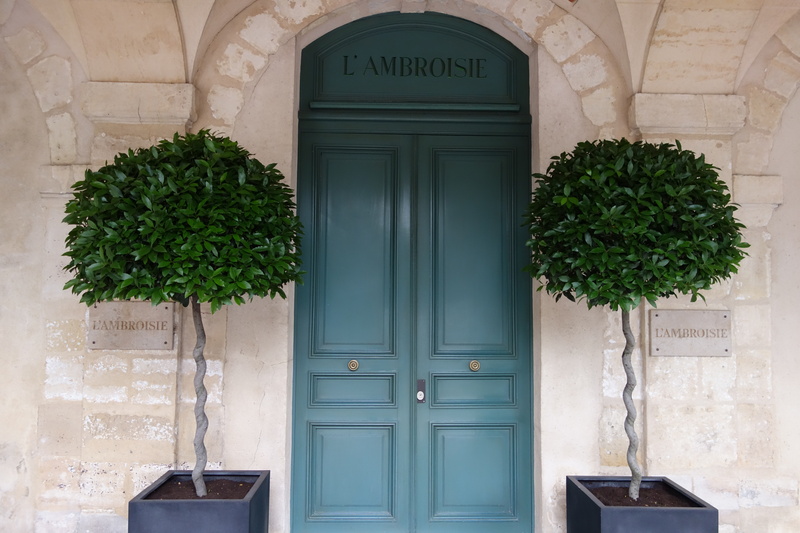 Another L’Ambroisie house signature. 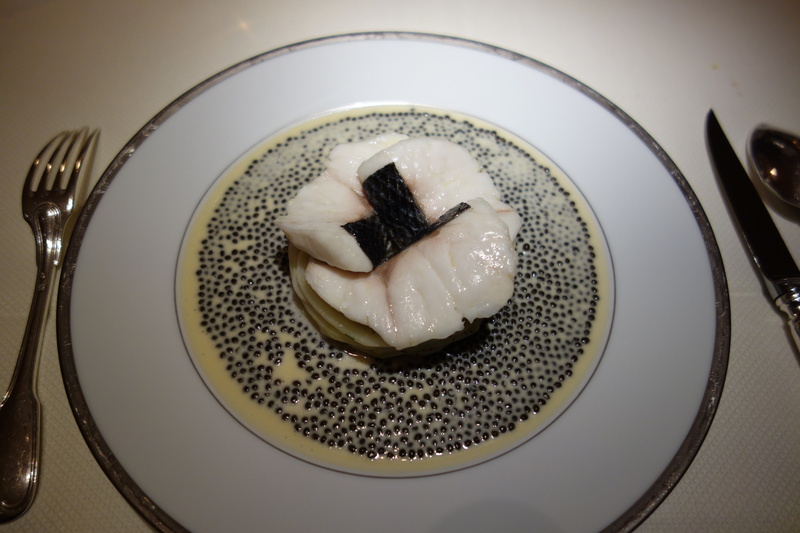 Three pieces of perfectly filleted “bar” (translated as “seabass”) on top of slices of artichoke heart, on a reduction of nage (white-wine, butter, fish broth) and dotted generously with caviar. 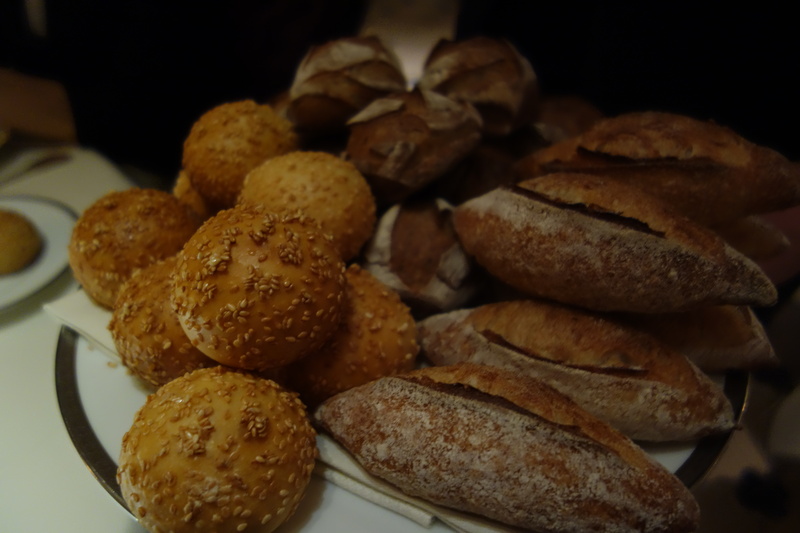 Luxury ingredients, played with a delicate hand. It was perfect for its conception, reduced and perfected to its ultimate form. It was very good, though the whole dish’s flavor combination did not blow my mind. (except for the nage with caviar). I did not sense, for example, an especial harmony between the bar and the artichokes. Spectacular. Dover Sole with an amazing vin jaune sauce. The sauces were really intense, incredible. 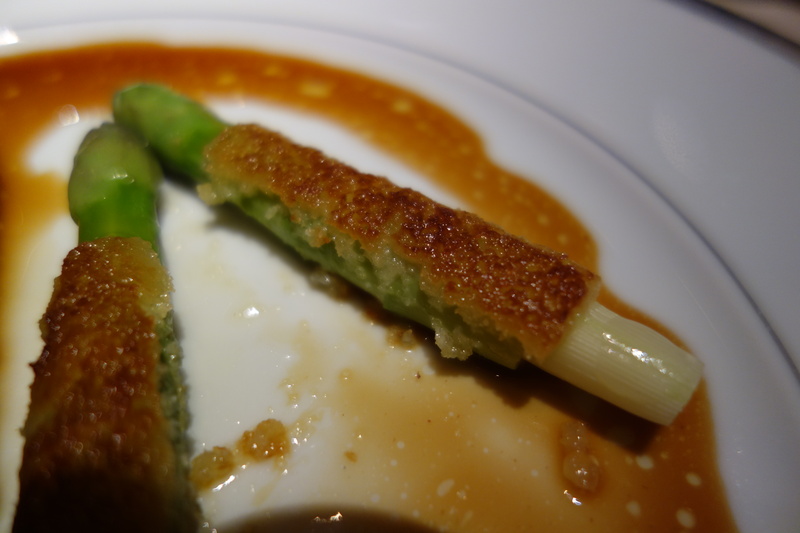 Asparagus, fantastic. Chanterelles. Who doesn’t love them? A combination of three perfect elements that was executed as precisely and perfectly as conceivable. 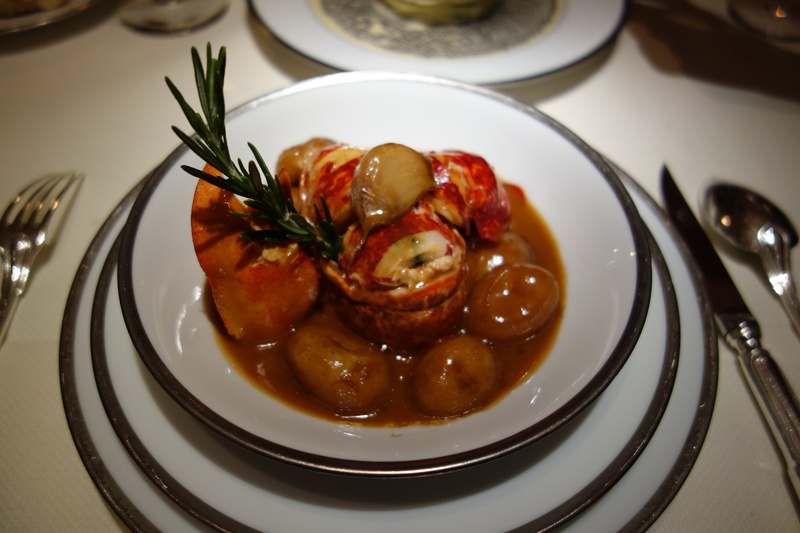 Bisque-ish sauce, great new potatoes, fantastic lobster. I did not however glimpse the X-factor in this dish. 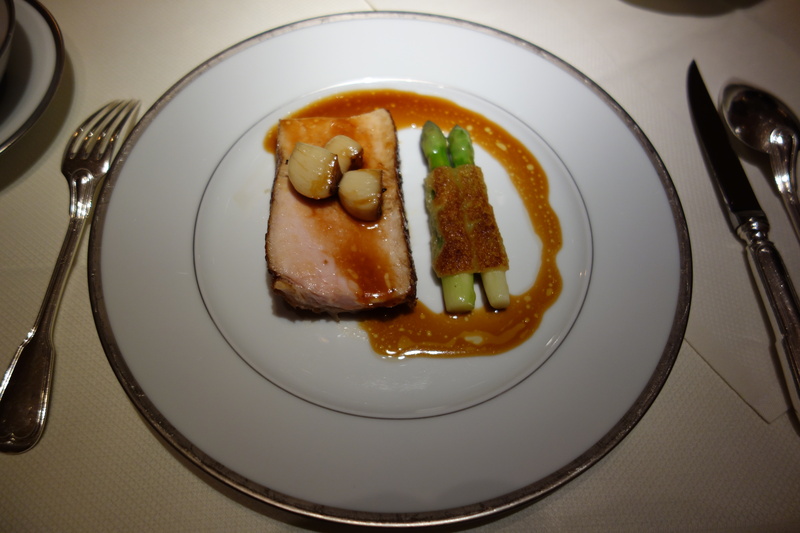 A side of milk-fed veal, with a tremendously perfect jus, asparagus and an old Comte covering on top of the asparagus. The asparagus was perfect. 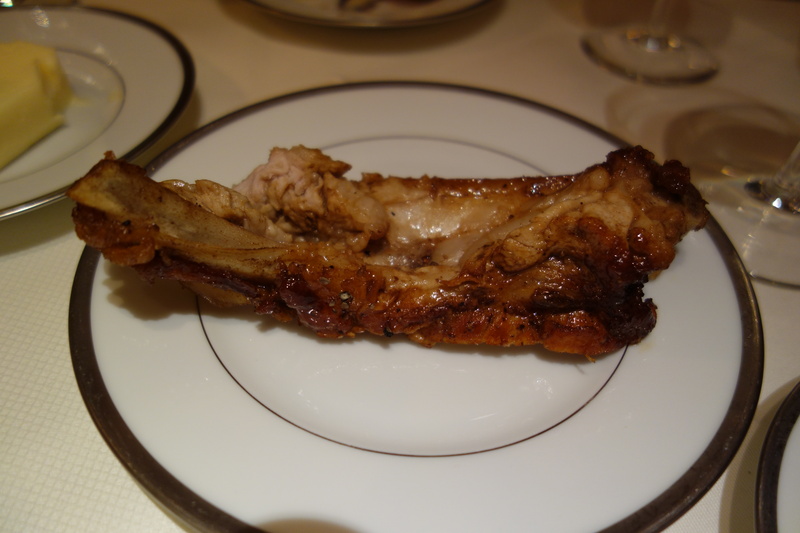 The veal, too, had an amazing melt in the mouth texture I did not know was possible from veal, recalling a meatier otoro. The veal as with all young animals lacking in taste in order to produce a great texture, needed the jus to unify taste and texture. The savory dark, sticky jus, was almost bitter in its intensity and darkness. Perfect. 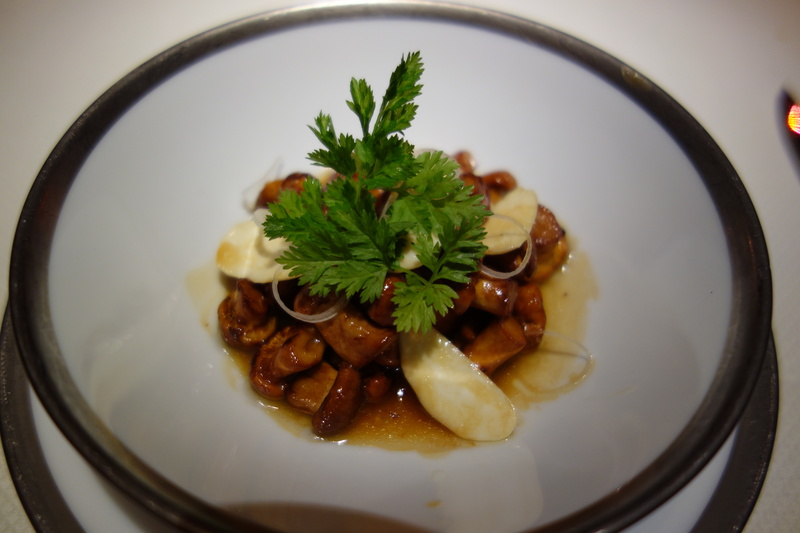 With another side of girolle (chanterelle) mushrooms. 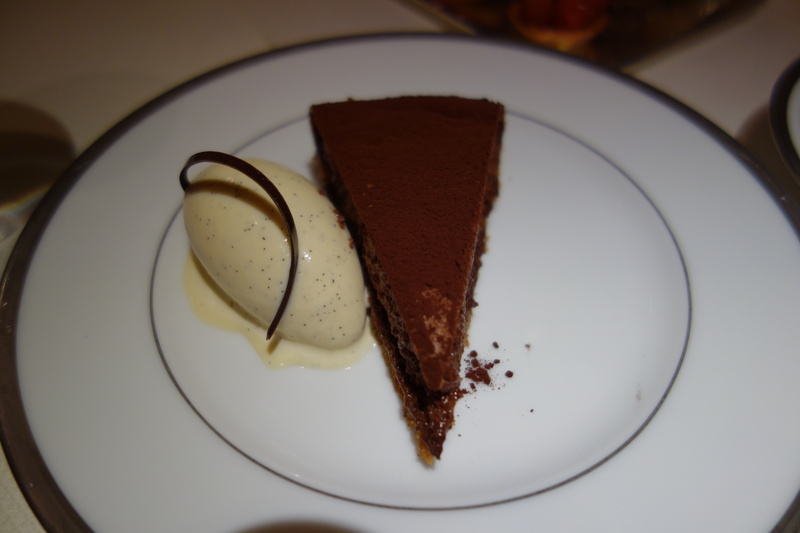 The legendary L’Ambroisie chocolate tart – the chocolate as light as air, melting on the tongue like a cloud, it was perfect with a vanilla ice cream. A classic, intense combination. 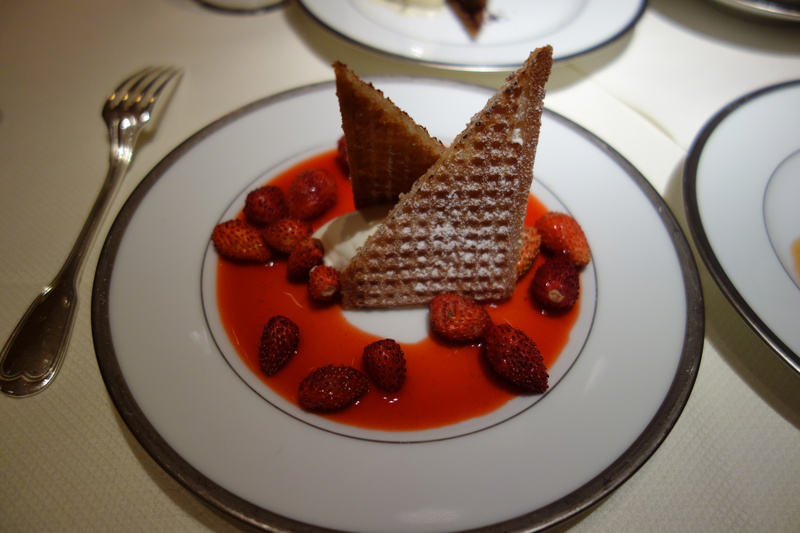 A really good strawberries and cream – marscapone, wild strawberries, wafers. Refreshing. There is an extended disquisition by a learned lady named “lxt”: Perhaps it is just an old habit of mine to attempt to characterize all establishments through a prism of current and historical stylistic influences, interweaving threads of commonality among the arts, music, and food, or perhaps style is what defines any creation, and it, or rather its presence is not only a hallmark, an imprint of imagination, but a clear representation of a personal expression and philosophy, but I’m not generally settled until I identify a chef’s style. For instance, Passard is the most vivid representative of Minimalism in food, while his former student Barbot (L’Astrance) is primitivist. While Berasategui’s cuisine gives the impression of a French contemporary influence with his overuse of quiet, cautious flavors, Gagnaire’s contemporary style is more vocal and is closer to Glen Brown’s approach (not Kandinsky’s, as Beaugé suggested in Francois Simon’s “Pierre Gagnaire: Reflections on Culinary Artistry” nor is it minimalist as stated in the same book) in how he treats “savage” recipes and ingredients (the beef aspic dish), eliminating the element of “rough brushstrokes” while introducing a gracious refinement of “lines,” and in how both of them use the historical context (e.g. 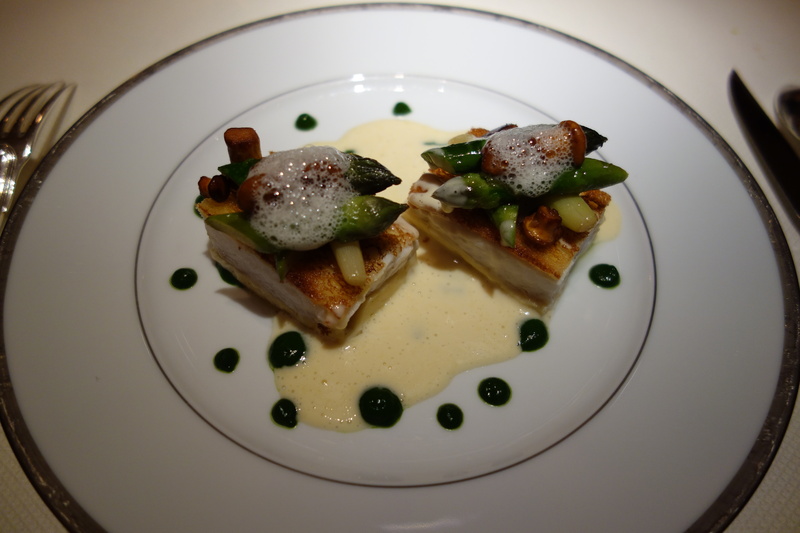 Gagnaire’s classic turbot in buttery cream turned modernistic with a spike of African melegueta pepper). Piege seemed to be struggling to stray away from the Baroque of Ducasse’s style on my visit to Les Ambassadeurs, and Senderens (Lucas Carton), the father of minimalism, aside from an occasional tiredness, maintains some elements of restrained Art Nouveau, just like the décor of the restaurant itself. L’Ambroisie, however, seemed to be the hardest one to “file” not due to its lack of style – to the contrary, there was something very personal and expressive in Pacaud’s cooking – but because it didn’t seem to fall under any of the existing categories of predefined stylistic formulations. His cuisine doesn’t posses that indefinable “animalism” that cannot be resolved intellectually because it is addressed not to our intelligence but to our senses only, nor does it rely on a theme and thirty variations, with set forms and complicated constructions built on key relations and symbolism, nourishing our curiosity more than our senses. Neither conservative (with classical grandeur and heaviness of individual dishes) nor avant-garde (gathering together smaller, interlocking units [dishes] of shorter breath while corresponding more closely to the overall tasting flow), with a good instinct to weave all components of an individual dish into an enjoyable unity, his style seemed to represent a work of “realism” composed by a romantic whose imagination and invention were accompanied by the supervision of an alert critical mind.